The light beam is generated by three motorized and independent optical planes with a total of 96 RGBW LED chip (24 per each color) 1.2 watt each. 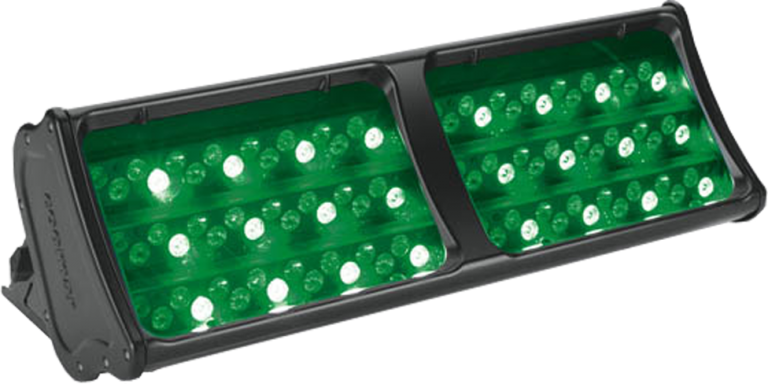 Symmetric and asymmetric beam in one single fixture: StageLite Led FX is a truly unique fixture in which it can be focused asymmetrically on a cyclorama, used as a foot wash, up lit, or used for effects. The vertical beam zoom from 11° to 34° can be also focused from +56° to -52°. The three different rowsbars are divided into two cells and can be individually controlled (both mechanically and optically). The three-bar lens is completely customizable to allow a perfect spread and focus of the beam.